Some people have a clear idea of how God will “use” them, especially if they came to faith from a struggle like drinking, drugs, or some kind of abuse. They know exactly who their audience is. The words come naturally and with ease. I follow lots of bloggers who treat their writing as their “ministry,” which is how I approached my book and blog at one point. It seemed pretty obvious: I was a Jewish girl yearning for a deeper spiritual life that I couldn’t find within the spiritual community that raised me. And so, controversially, I came to Christ, and eventually, to the Episcopal Church. Over the years, I’ve been pigeonholed into the role of “the Jew who found Jesus,” which never sat well with me. Even if that’s technically true, I never intended for my story to be some kind of universal example. I couldn’t make myself see my people as “lost” and needing to be saved. Despite yearning for a personal God in the flesh that is expressly forbidden in traditional Judaism, I still recognized the richness of my traditions and the insights of my ancestral sages. It hurt me to see all that denigrated as worthless because Jesus wasn’t part of it. I didn’t want to angle my writing to change anyone. Rather, I wanted people to find the fulfillment and hope that I had found. I still want that – and that’s what I wish to communicate to anyone who reads my memoir, Confessions of a Prodigal Daughter, be they Jewish, Christian, or something else altogether. Honestly, I think I have more to say to my fellow Christians at this point than I do to the Jewish community. I want Christians to understand that Judaism is more than the prequel to Christianity. I want Christians to understand that their attempts to host Jewish holidays can come off as exploitive. I want them to understand that Jewish interpretations of Hebrew Scripture still matter and are still relevant, even if the two faiths disagree about who the messiah is. I write with those thoughts in mind, but I also write for those who feel like they don’t fully belong in any one tradition. This may include Jewish converts, but it doesn’t have to. My greatest influencers aren’t those who feel they have all the answers, but ones who are humble enough to admit when they don’t. What is my “ministry”? I’m confident that it’s writing. Storytelling. Whatever it needs to be. 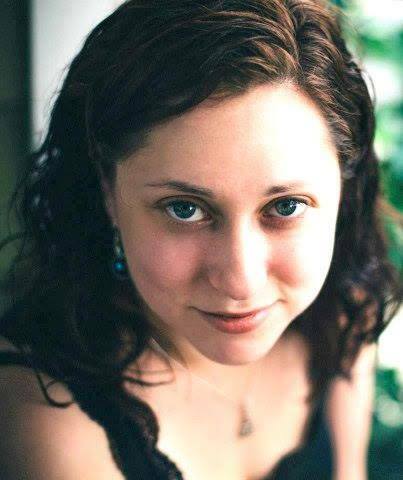 Sarahbeth Caplin has a bachelor’s degree in English from Kent State University, and a master’s degree in creative nonfiction from Colorado State University. Her memoir, Confessions of a Prodigal Daughter, was an Amazon bestseller in the “personal growth” category. Her work has appeared in Sojourners, Huffington Post, and Christians for Biblical Equality, among other places. Beth lives in northern Colorado with her husband and fur kids, and blogs at www.sbethcaplin.com. You can connect with her on Twitter too. This entry was posted in Uncategorized and tagged Jewish Christians, ministry, Sarahbeth Caplin, Serving God, writing. Bookmark the permalink. Amen! My faith has been so incredibly enriched by the wisdom and understandings that my Jewish (christian) friend has shared with me. In fact, in many ways she helped me cling to faith as I detoxed and recovered from spiritual abuse in the church. That’s one of the biggest benefits for me too (re: deconstructing from toxic theology). I really appreciate your post, Sarahbeth. It is so interesting that people want to piggyback on a story like yours – almost to “use” it to make a point with other people, rather than just appreciating that our journeys are all so unique and different … and that’s OK. As for the part about speaking to Christians more so than to Jews, I think that’s important. There are such naive and uninformed views out there – Christians assuming that all Jewish people were/are “Pharisees” etc. Christians have so much to learn from Judaism if we’re willing to BE learners rather than the ones with all the answers. Yes! I love the way you phrased that. This was truly one of the BEST guest posts, ever. I’m the only believer in my family. I’m from India. It’s rare to find someone from that area who also happens to be a Christian. I was born and raised in America, so I was “caught” between two very different countries—and never felt like I truly belonged to one or the other. Since I am an American. the tendency runs that I was brought up AS an American (aka “white”). I just happen to have brown skin. That’s not true. I don’t speak my native tongue, dress in native clothes or solely cook my native country’s food. I don’t have an accent—so all the supposed outward forms that would indicate that I have fully embraced Indian culture—-are missing. So I am not seen as an Indian in the purest form, but I’m also not seen as an American, in the purest form (whatever that means). Something is always lacking that keeps me from fulling “fitting into” one or the other. It can be a very difficult box to break out of, when people are determined to keep you in it! For me, there was no “box size” that I could be contained in. How we love to label people! So with me, people tended to just dismiss, assume or be downright offensive when interacting with me. It’s very hard to be taken seriously, when you exist in a category of your own. It’s also very hard to let others get to know you, when it seems they think they already do, based on very superficial suppositions. There’s so much richness and talent in EVERY culture: food, art, clothing, relationships, traditions and whatever else is out there. To throw that all out is just wasteful and unnecessary. I’m not a writer, but I would be horrified if I was “stuck” aiming for a particular target audience. We are so much more than our gender, skin color, our upbringing and whatever type of lives we led before (and even after) we became born again. Bless you for speaking up. Please keep up the writing and reaching MANY different types of people—from every walk of life!